The government has legalised casinos, but Japanese still do not like the idea. MOST forms of gambling are banned in Japan, but many Japanese still like to have a flutter. Over ￥23trn ($203bn) is waged annually on pachinko, a noisy variant of pinball. Add in lottery tickets, plus horse, boat and bicycle racing—the only other types of betting allowed—and you have a vast industry. Pachinko players alone spend more than the combined betting revenue of all the casinos in the world's top gambling resort, Macau. Japan's government has struggled to convince citizens that the current strictures should be relaxed. When the Diet legalised casinos in December after years of political wrangling, a poll by NHK, the country's public broadcaster, put support for the move at just 12%. The leader of Komeito, a party with Buddhist roots that is part of the governing coalition, voted against the bill. Critics said it would exacerbate problem gambling and attract “anti-social forces”, a euphemism for Yakuza gangs. Shinzo Abe, the prime minister, insists casinos will be only one part of family-friendly resorts, with hotels, shops and conference facilities. In an anemic economy, his enthusiasm is not hard to understand: the construction of these huge complexes could generate ￥5trn in economic activity—with another ￥2trn a year once they have opened, largely from increased tourism, estimates Makoto Yonekawa of the Daiwa Institute of Research, a think-tank. Foreign casino-operators have already begun lobbying for a slice of this pie. 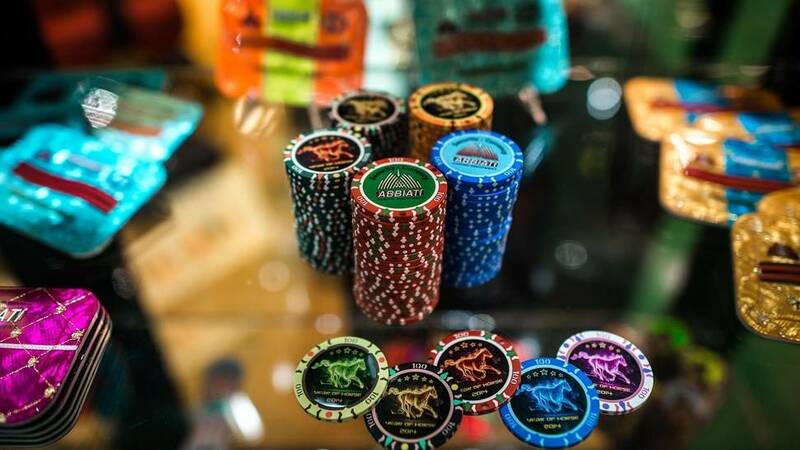 Las Vegas Sands, MGM Resorts and Hard Rock Café International are among the companies looking for licences and local partners. Bureaucrats are crafting more legislation to decide how many resorts to permit and where to put them. This, say analysts, is where the road could get bumpy. 例句:Why are the equity markets in a spin? 例句:He rammed down a slice of bread and left home. 例句:People stood in a long queue to buy lottery tickets. 例句:Physical activity ; whether it's a relaxing walk, bicycle racing or meditative tai chi; helps relieve stress.